You have made it to the website of Levolution, the cosmic process and scientific paradigm. The author coined the term and bought the domain name "Levolution.com" in the last millenium, 1999. There is a link there to buy the book on Amazon. that you may follow. We may send out words of Levolutionary wisdom occasionally. 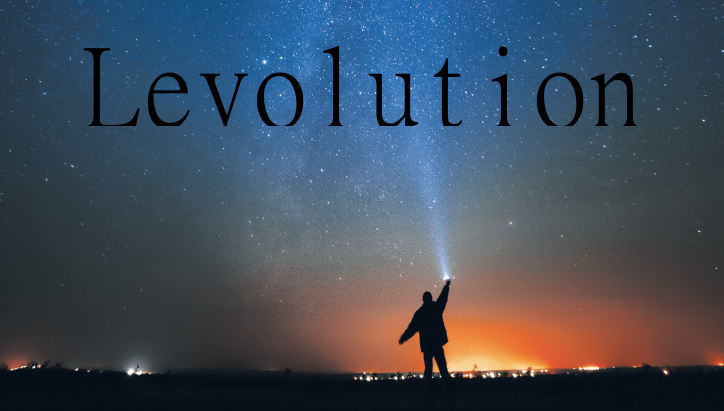 Here at this site, you can get the quick lowdown on Levolution, a paradigm shifting set of perspectives about the universe and how it has been built, one level at a time, and through the newly described mechanism of Thermodynamic Natural Selection. My own considerations of Levolution's relevance to cosmology and physics is about like evolution's relevance to biology. It seems absolutely central. Ecology was barely a science at all before Darwin's theory. Biologists were refered to as naturalists back then. Now, evolution is involved in nearly every aspect of biology, from genetics to ecology. Theories about origins are always hefty theories. The possible application of Levolution is almost boundless. It is literally the process involved in the origin of each of the levels of organization we observe today in the universe. The difference with Levolution is its simplicity. Without resorting to complex math or arcane jargon, a layperson and people from any discipline can understand and see the relevance of Levolution. After it all soaks in, you understand that energy's role is very consistent, very directional, and very much in tune with what we do.